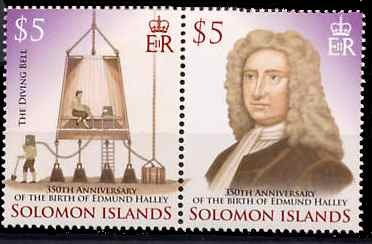 These were issued in a sheetlet of 4 x 2 stamps to celebrate the 350th anniversary of the birth of Edmund Halley. 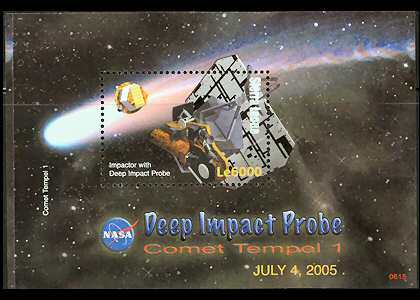 The sheetlet shows a solar eclipse. 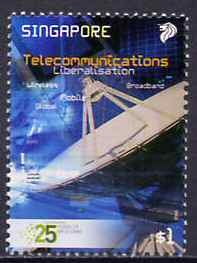 The middle stamp of a sheetlet of nine values issued on 2006-01-12 for the 2006 World Soccer Cup in Germany. 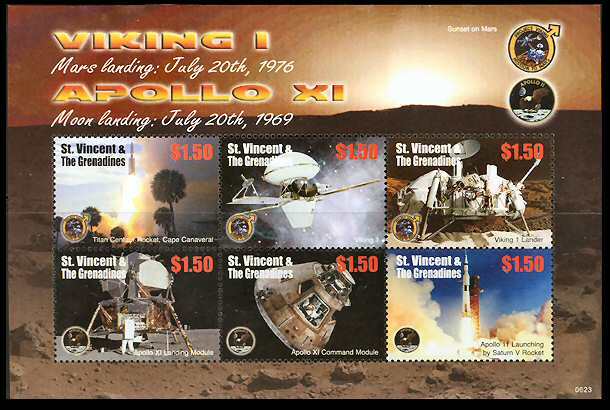 A minisheet of 1 value was also issued. 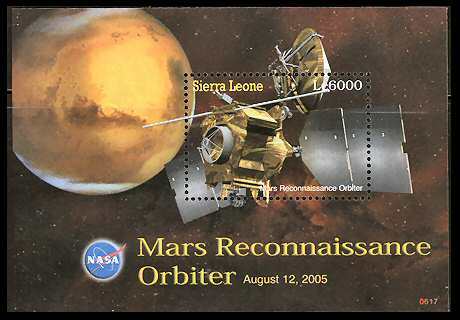 The stamp and the sheetlet itself show the Jules Rimet satellite. 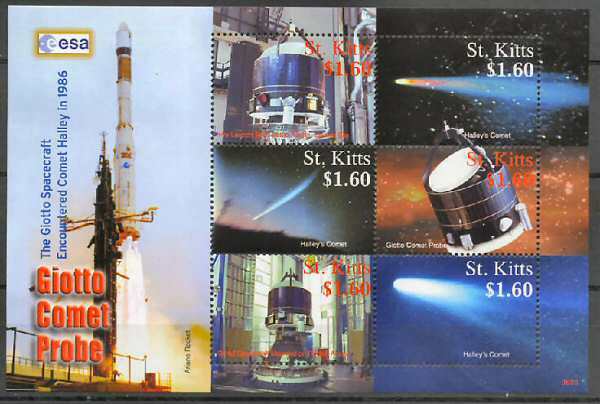 The minisheet shows the same satellite. 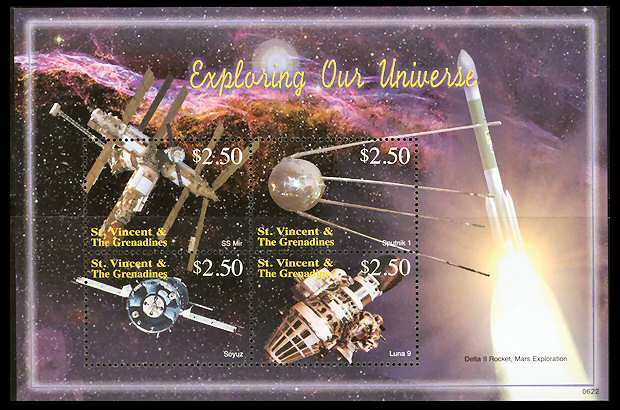 On 2006/03/03 St. Thomas & Prince issued a minisheet of one stamp for the 1st anniversary of death of Jean Paul II. 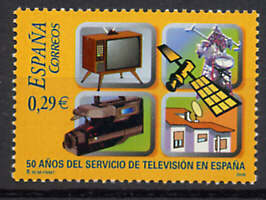 The stamp included a satellite. 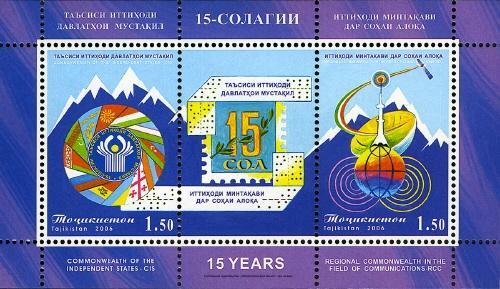 On 2006/03/21 St. Thomas & Prince issued a minisheet of one stamp for the 50th anniversary of the issue of Europa stamps. 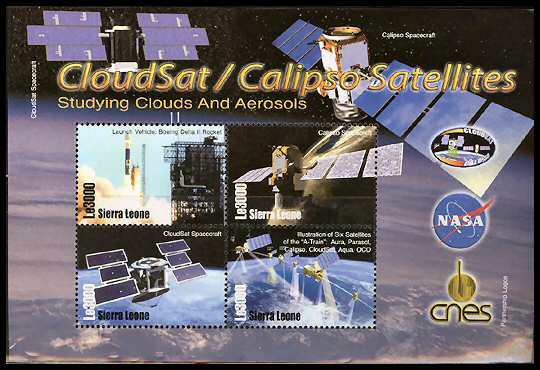 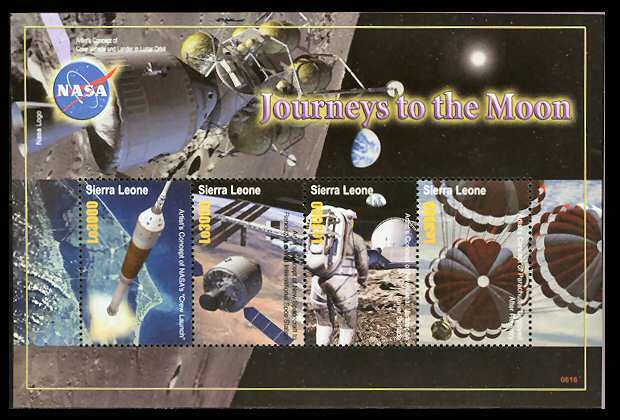 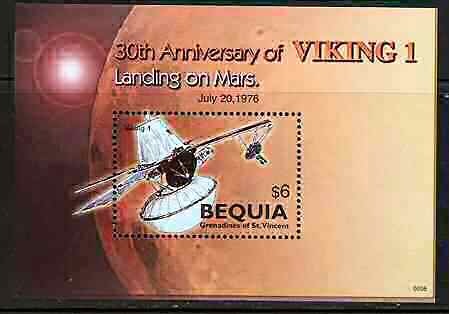 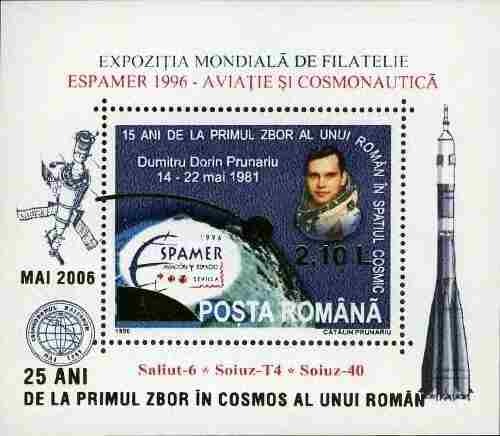 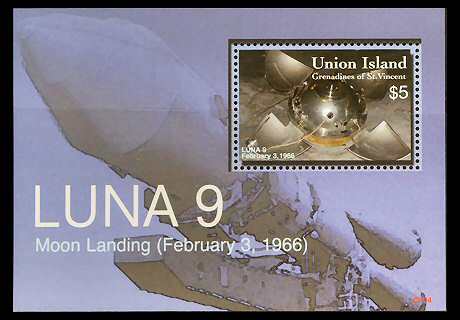 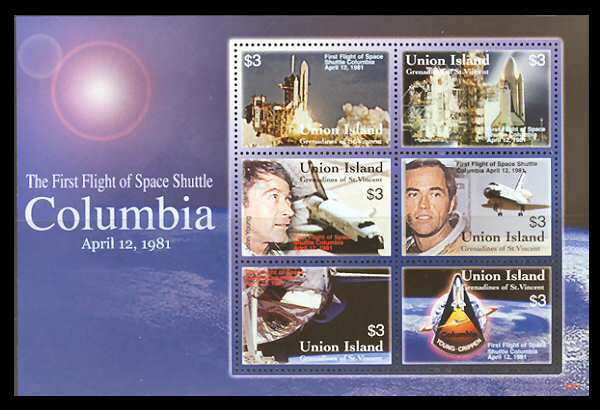 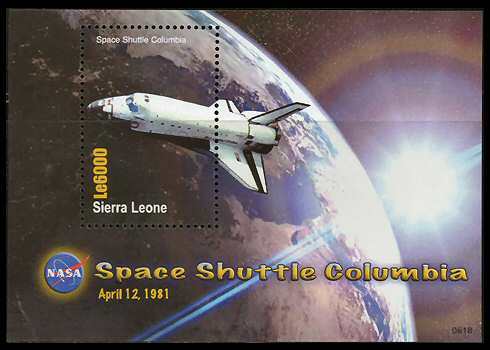 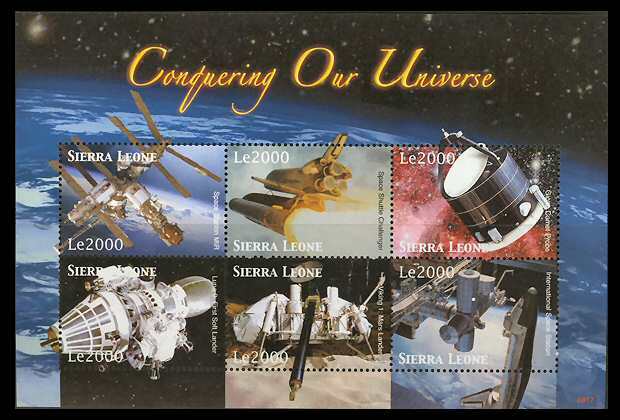 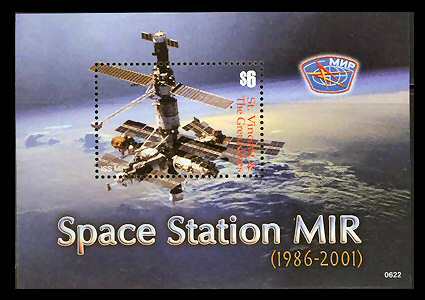 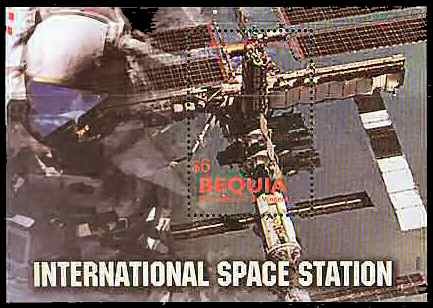 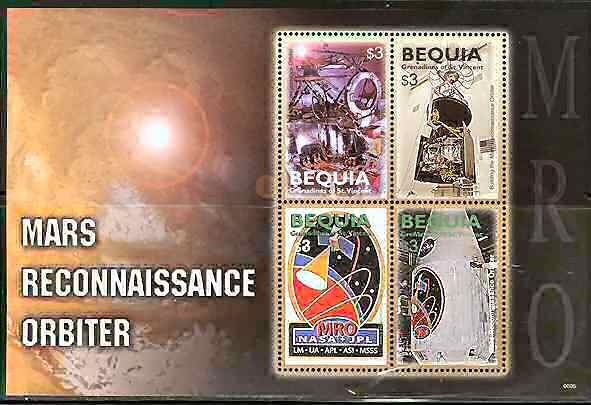 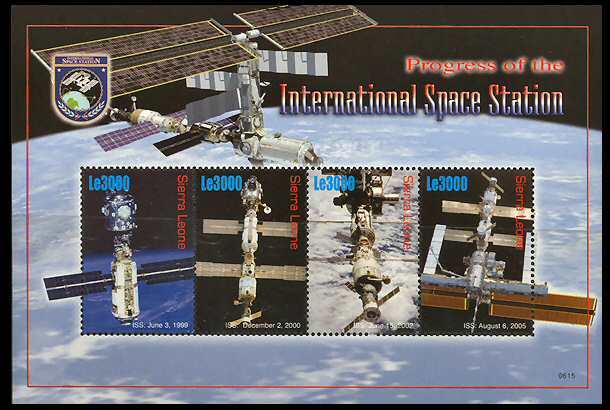 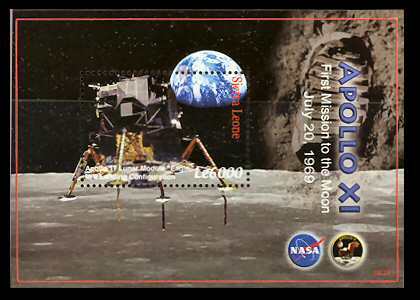 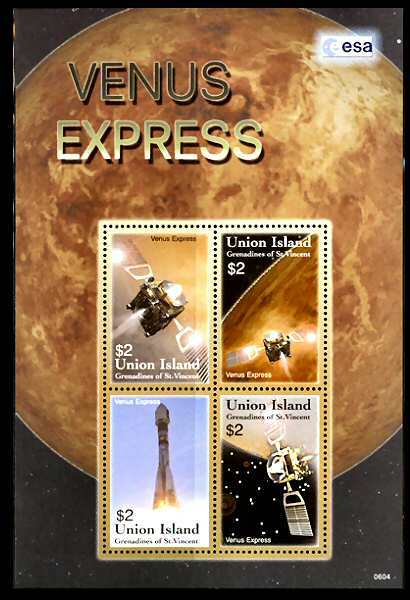 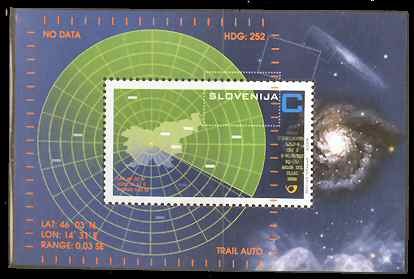 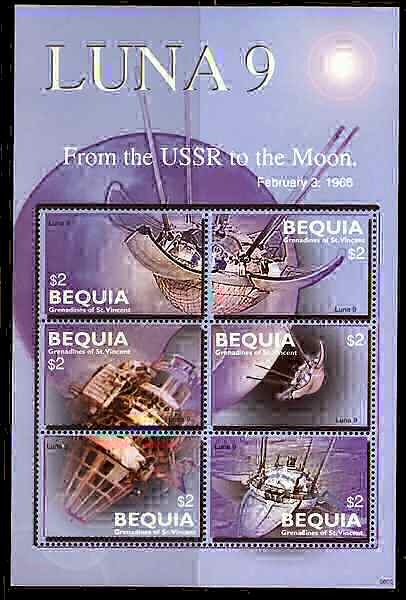 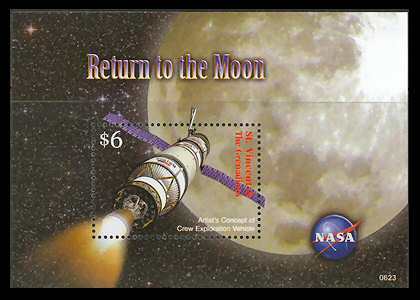 The stamp shows a satellite while the minisheet shows several satellites.